Xtensible has partnered with Oracle to develop a Utility Enterprise BI and Analytics Solution to address the increasing demands of utility real-time analytics. 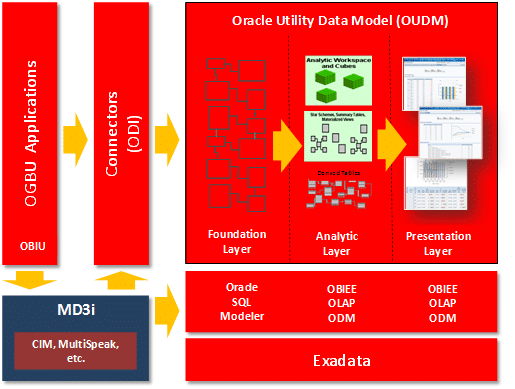 The solution combines Xtensible’s MD3i Framework with core technologies within Oracle’s Business Intelligence and Data Warehouse portfolios to meet challenges in big data and information interoperability across an enterprise. The solution is based on the leading utility industry model standard, the IEC Common Information Model (CIM), and draws from other relevant standards approved by the Smart Grid Interoperability Panel (SGIP). Additional Analytical Reports, Models, etc.